This month's centenary of the armistice which ended World War I has understandably attracted a lot of media attention, and sent me back to a book which I first read as a teenager, The Great War, by the military historian Corelli Barnett, who also co-wrote the TV series of the same name. I've just been reading about that war's first military action outside Europe, in late October and early November 1914, when British and Japanese troops jointly attacked Tsingtao, a port on the north-east coast of China which the Germans had occupied since the 1890's as a trading post and naval base. When you think about what happened in World War II in the same theatre of war, it's quite ironic that British troops even donned Japanese gear after a friendly fire incident in which their Far Eastern allies mistook them for German soldiers. The peace treaties concluded after the armistice in 1919 at Versailles stripped Germany of its colonial empire in Africa and Asia, but left Tsingtao in Japanese hands until the Republic of China, which had also been an ally of the British, French and Americans in World War I, finally gained control of it in the early 1920s. Tsingtao, now known as Qingdao, is best known outside China for the brewery which German colonists founded there in 1903, and which has had the eventful a history you might expect given China's turbulent twentieth century, passing through the hands of the varying governments which have ruled the country, outside powers and private companies. It is now the second biggest in China, having around a 15% market share there with its flagship 4.7% pils-style lager, part of a wider legacy of German, Austrian and Czech-style beers brewed throughout southeast Asia in the nineteenth and twentieth centuries. Thanks for sharing that, Matt. Most people’s understanding of WWI is confined to the carnage of the trenches on the Western Front, and yet – as you correctly point out, the Great War was a truly global conflict. On the Eastern Front in particular, there were huge movements of troops, involving armies from Austria-Hungary, Germany and Russia, but also Bulgaria and Serbia. 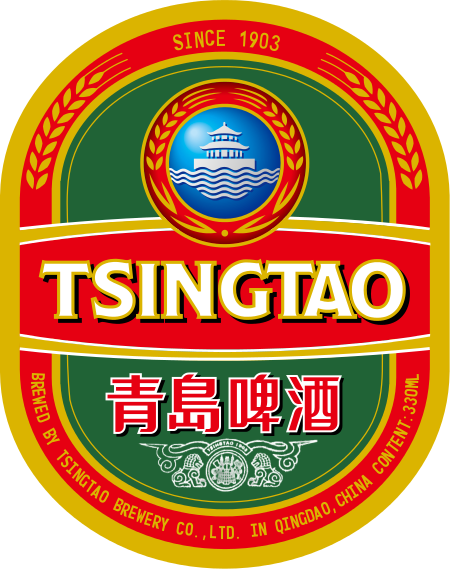 I tried Tsingtao beer once out of curiosity. I thought it not a bad beer of its type, and it's still brewed in China, unlike Tiger Beer which I remember from when I was a child living in Malaya (my father was an ex-pat worker). I was too young to drink Tiger then but I've noticed it's brewed under licence in the UK, and therefore of little interest.